There was a loud thud at the back of the boat follow by a loud splash of something big hitting the water. Almost at the same time we all turned our attention away from the group of hippopotamus less than 5 meters in front of us. 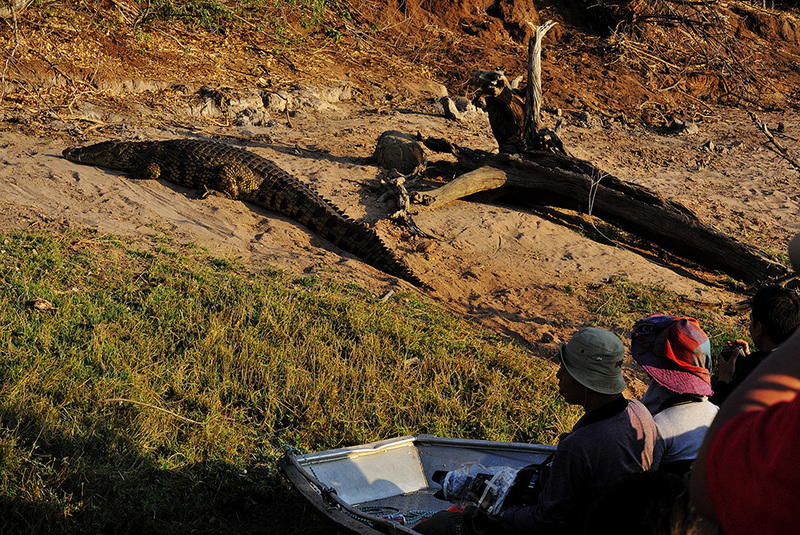 We throw a questioning look at Innocent, our local guide but he gave us an equally innocent look and says “oh it just crocodile chasing fishes and hit our boat.” Oh great, in front of us a group of hippos lying half submerge and doesn’t look too happy at being disturb from their afternoon nap and beneath our tiny boat crocodiles are chasing fishes in wild abandon. 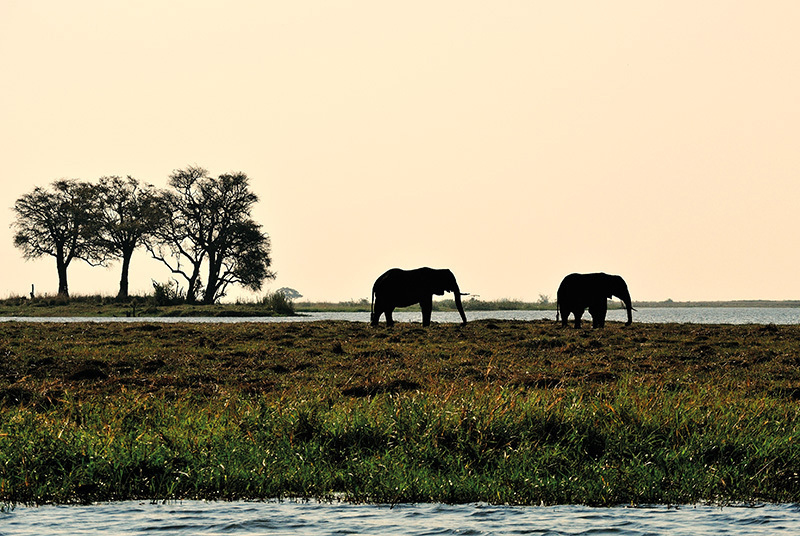 Welcome to the Chobe River cruise. 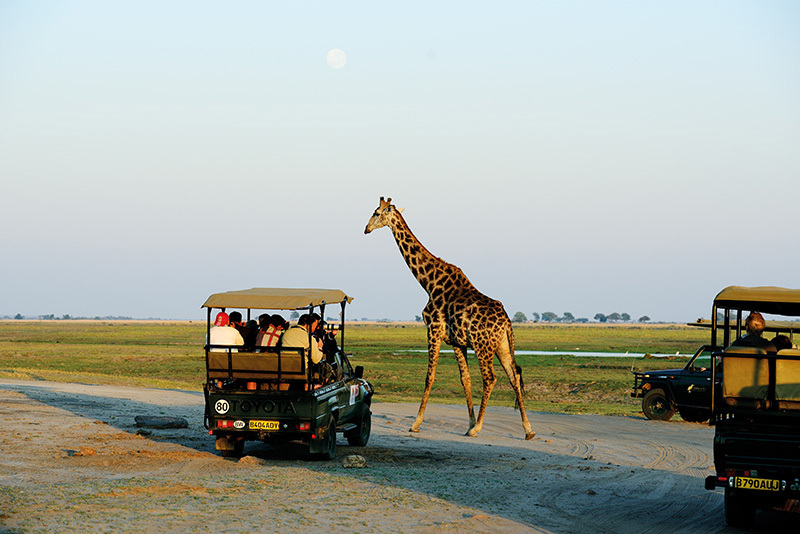 We reach the Botswana border after a short drive from Zimbabwe. It’s just a short walk across Zimbabwe immigration to Botswana going through the small custom building. With only 2 counters it took us a while for our group to get pass immigration and in the process we got into an argument with another group of tourists who try to jump queue. Once we cleared immigration we went straight for the sunset river cruise. 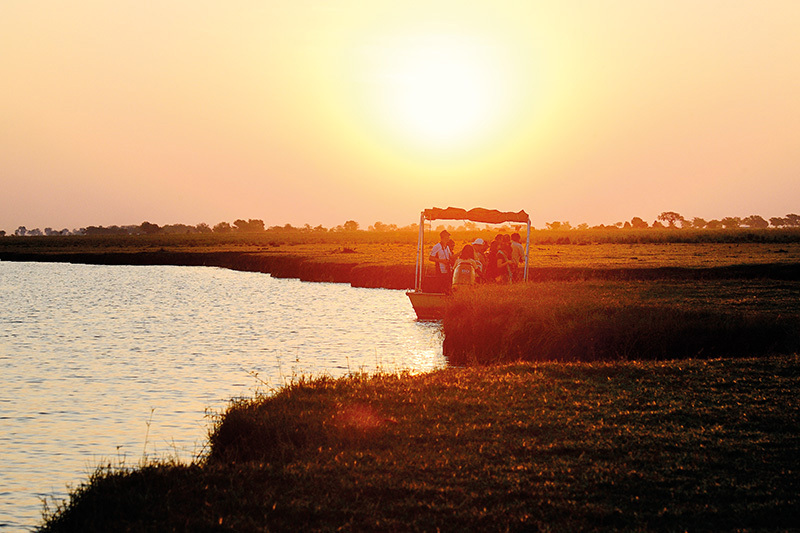 This is certainly not your idea of a romantic sunset cruise as Innocent steer our boat into the wild of Chobe river. 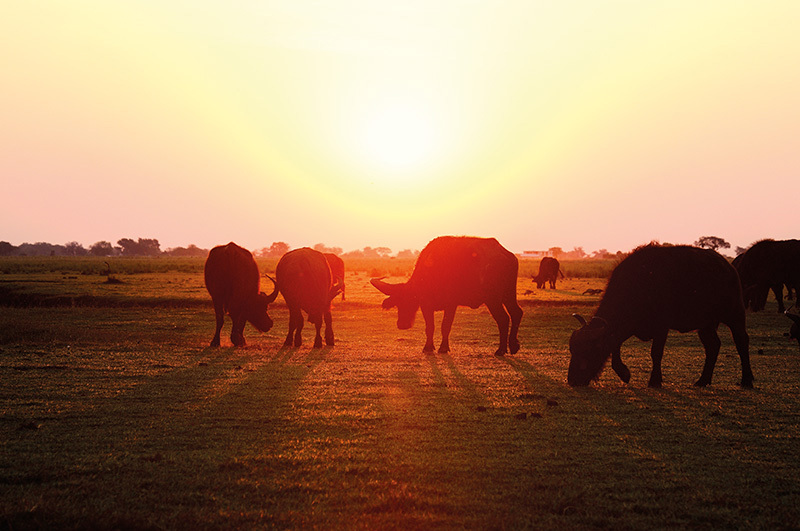 Herds of elephant roam freely in pocket of islands with groups of wild buffaloes grazing against the setting sun. On the sandy riverbank crocodiles lay basking in the warm afternoon sun as groups of hippos frolic in the shallow muddy bank. 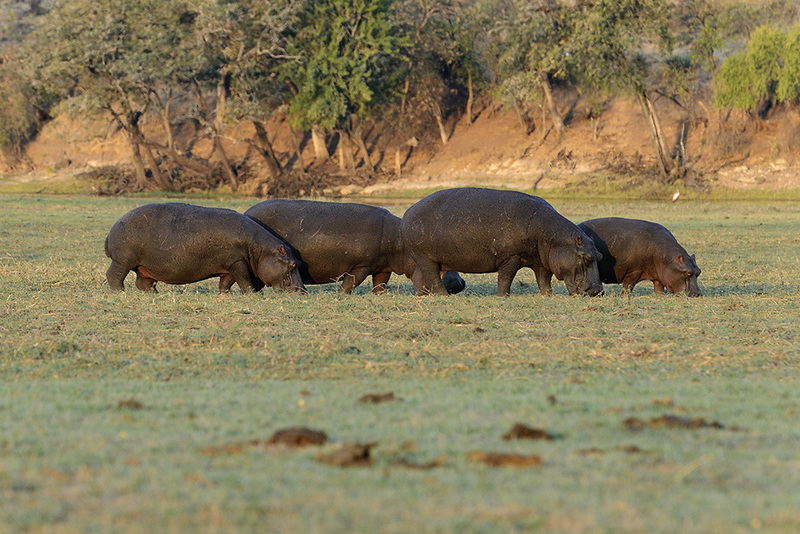 We were told to stay still and keep our silence as we move nearer so as not to frighten them as they can easily over turn our boat if the hippos came charging at us. 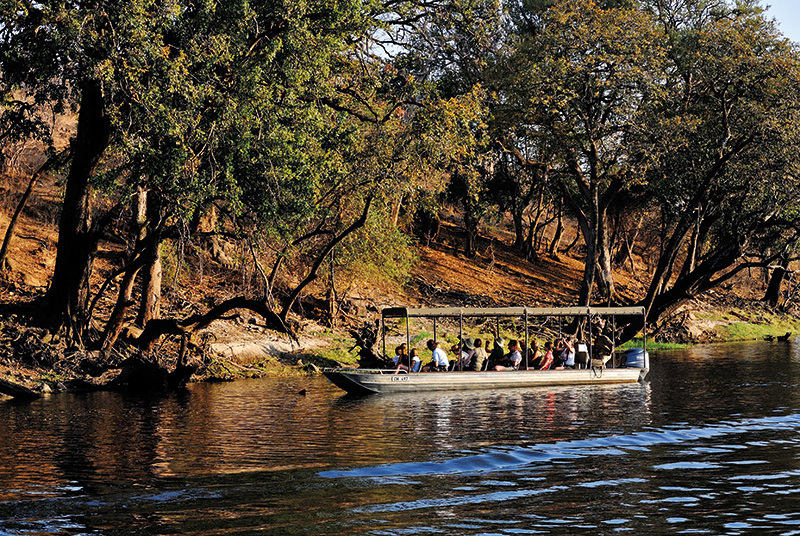 This is a must visit national park in Botswana and along the river we saw many other boats and some seem to be the live-on-board type as there were anchor at the riverbank. 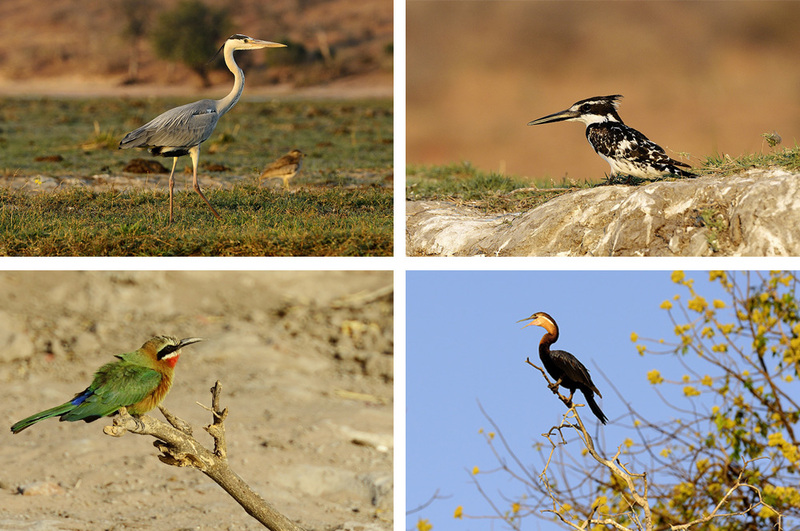 It’s wonderful experience cruising along the river as we can see a wide range of animals and birds roaming freely here and they seem not to mind our intrusion as long as we keep quiet and observe them in a distant. Here you will need a much longer lens than a 200mm. As I have only a 70-200 I have to change my D800E image area to DX mode to have a slightly longer reach. We cruise around the river till the sun disappeared over the horizon. We then return to Kasane for the night and as usual we stop at our daily round of supermarket to stock up our food supply for the next day. Seeing there is a liquor store next to the supermarket I went in to get myself some cans of beer, as it was a very hot day. I was having a can while waiting for the rest to finish their shopping when our guide came and tell me it’s forbidden to drink in public areas, I quickly put them back into the plastic bag to avoid any unwanted attention. The following morning we went into park in separate 4WD before sunrise but to my surprise there were already many other tourists and their vehicles waiting at the park entrance. We waited in our car while our guide went to purchase our entrance permits and by the time we manage to get in the sun is already casting warm morning light over the park. 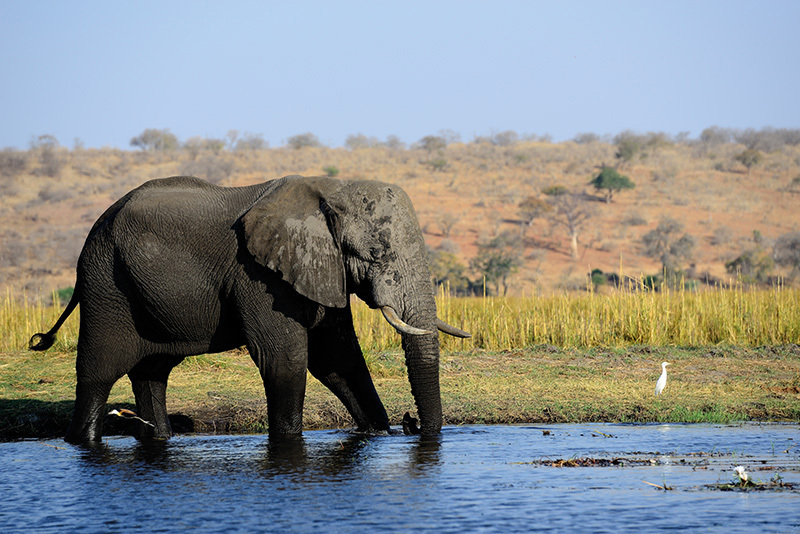 Along the way we see animal started to come out looking for food, elephants munching on the almost leafless trees, antelopes grazing peacefully, occasionally giraffe pass our path as we drive deeper into the park. Wild ducks fly in formation over the river as group of tourists stop their 4WD at the sandy riverbank to have morning coffee break. We were not allow to stop elsewhere inside the park except here where our vehicles gather in a tight group and for our safety we were also not allow to roam too far away from the group as we don’t know what’s behind the many bushes. We hang around and took some photos before driving off to another part of the park. After the few hours in the park we had enough of shooting the deer, giraffes and elephants and happily return to Victoria Falls to catch our flight back to Johannesburg, South Africa.